Marissa Delinks is an experienced litigator and appellate attorney. She has successfully defended and prosecuted appeals in state and federal courts in Massachusetts, Connecticut, New Hampshire, Rhode Island and Maine primarily involving consumer financial matters relating to mortgage servicers, lenders, and trustees of securitized mortgage trusts, in matters alleging predatory lending, mortgage fraud, violation of consumer protection statutes, and challenges to mortgage holders' right to foreclose, as well as appeals involving alleged violations of TILA, RESPA, HAMP, FCRA, and the FDCPA. Her appellate experience also includes handling a wide variety of civil appeals in state and federal courts involving issues of contract law, insurance coverage, legal malpractice, ERISA, real estate related issues, constitutional law and surety law. Ms. Delinks provides appellate assistance and advice to other trial attorneys during the litigation process, particularly in claims involving complex legal and statutory issues. Ms. Delinks also handles contested foreclosure actions in Connecticut state and federal courts. In addition to her appellate practice, Ms. Delinks is a professional liability defense attorney and risk management advisor. Her litigation practice includes defending malpractice actions brought against lawyers, accountants, insurance agents and brokers, real estate professionals and property managers, financial advisors, notaries, and technology professionals. She also defends attorneys in disciplinary actions before the Board of Bar Overseers and provides risk management advice to lawyers and law firms. She is experienced in all aspects of trial practice, including discovery and motion practice, taking and defending depositions, trying cases, and preparing and arguing post-trial motions. 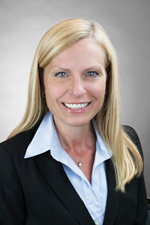 Ms. Delinks joined the Boston office of Hinshaw & Culbertson LLP upon its opening in July 2005. She was with the firm previously in its Ft. Lauderdale office from 2002 to 2004. She served as the Leader of the firm's Professional Lines Practice Group and currently serves as the Business Development Partner of the Professional Responsibility, Professional Liability & Risk Management Practice Group. Ms. Delinks is a member of Hinshaw & Culbertson LLP's pro bono committee and is the Northeast coordinator for the firm's pro bono projects. From 1999 to 2002, she was a branch director in the legal division of Spherion Corporation, a Fortune 500 human capital management company. In addition, Ms. Delinks was an attorney director for the Miami office of The Wallace Law Registry. She also spent three years as an associate with the Boca Raton law firm of Weiss & Handler, P.A., where she handled commercial and general liability litigation matters. Previously, she completed a Judicial internship with The Honorable Stephen T. Brown, United States Magistrate, Southern District of Florida. Gargano v. Liberty Intern. Underwriters, Inc., 572 F.2d 45 (1st Cir. 2009). Phillips v. Prairie Eye Center, 530 F.3d 22, (1st Cir. 2008). Reliance Ins. Co. v. City of Boston, 71 Mass. App. Ct. 550 (2008). Cordi-Allen v. Halloran, 470 F.3d 25 (1st Cir. 2006). Diamond v. Automobile Ins. Co. of Hartford, Ct., 890 So. 2d 1248 (Fla. 3d DCA 2005). Acosta v. The District Board of Trustees of Miami-Dade Community College, 905 So. 2d 226 (Fla. 3d DCA 2005). "Beware of Criminal Liability Traps When Defending a Lawyer in Civil Litigation," Legal Malpractice & Risk Management Conference, Chicago, Illinois, March 2017. "Legal Malpractice Claims Trends: Fixed or Fluxed?," Legal Malpractice & Risk Management Conference, Chicago, Illinois, March 2016. "Self-Representation: Is a Penny Saved Really a Penny Earned?," Legal Malpractice & Risk Management Conference, Chicago, Illinois, February 2015. "The Insurance Marketplace and Considerations," Legal Malpractice & Risk Management Conference, Chicago, Illinois, March 2014. "Insurance Marketplace Update," Legal Malpractice & Risk Management Conference, Chicago, Illinois, March 2013. "Employment Practices / Management Liability: Exposures of an Aging Work Force," Chubb webinar, September 2012. "Truth or Consequences: The Importance of Making Truthful Disclosures in the Application Process," Hinshaw's Annual Insurance Services Symposium, Chicago, Illinois, October 2010. "Post Representation Responsibilities and Practices," West LegalEdcenter live webcast, April 2010. "Fraud Prevention and the Rules of Professional Conduct in Real Estate Transactions," West LegalEdcenter live webcast, January 2009. "Understanding Your Legal Malpractice Insurance Policy," West LegalEdcenter live webcast, January 2008. "Disaster Preparation and Recovery," West LegalEdcenter live webcast, July 2007. "Other People's Money: A Lawyer's Obligation to Safeguard Property Belonging to Others," The Quarter Hour®, Volume IV, 2008. "AICPA Standards and the Duty of Care: The Ceiling or the Floor," Professional Liability Underwriting Society (PLUS) Journal, August 2007. Co-author, "AICPA Standards and the Duty of Care: The Ceiling or the Floor," Hinshaw’s Professional Lines newsletter, June 2007.